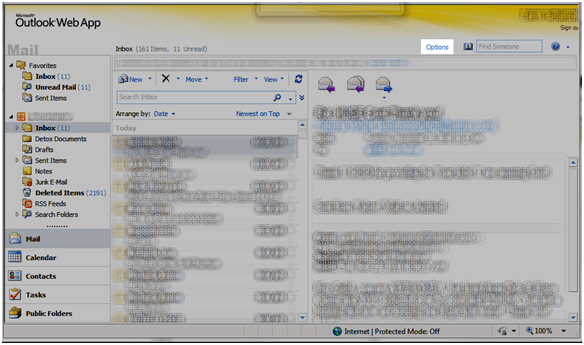 Outlook of Office (aka "OOF") is commonly used in Exchange when users are on vacation. It automatically replies once to each sender and can send a different message to internet and external recipients. These instructions assume you configure Out of Office (OOF) through webmail. 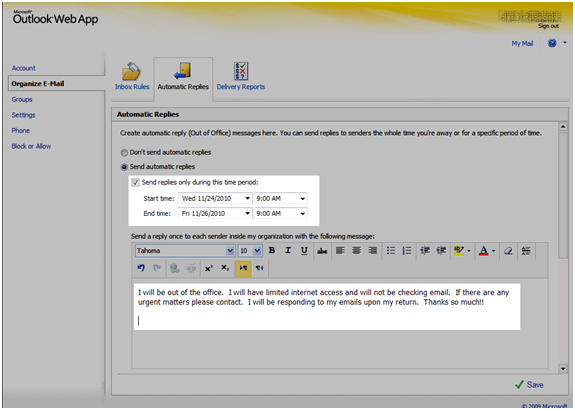 You can just as easily configure it through Tools, Out of Office Assistant. 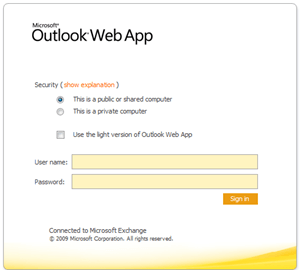 That option does not work through Outlook when used remotely, though. In that case, it is easier to use webmail. 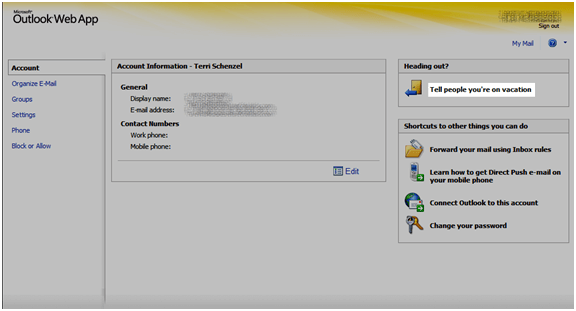 Open Webmail Click Options Click Tell people you're on vacation Select the time period you want it to send the email and fill out your messages Below the above text is the external message that is only sent to external email. You can tell your internal coworkers to contact one person, whilst the external contacts and email another.